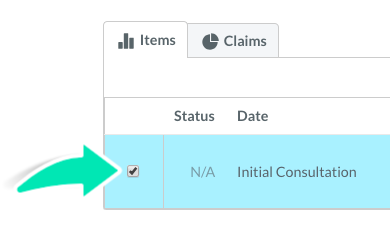 Prior to submitting invoices for payment, make sure claims have been submitted and approved by ACC.Click on Pre-submitted claims or new claims to find appropriate instructions. Once the invoice has been saved. The two sections below explain how to do so. 1. In the Diary, Click on the Client Appointment. 3. Make sure all invoice details are correct and add in any payments if required. 4. 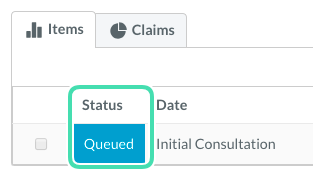 At the bottom of the invoice, select the Add to ACC queue checkbox. 5. Click Save Invoice to open up the ACC Claiming section. 6. 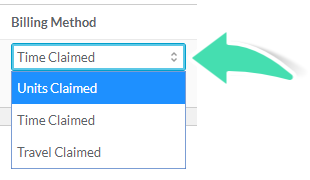 Next to the ACC Claim drop-down select the correct claim so it pre-fills the Code(s) into the claimable item. 7. Add in a Contract ID, if applicable. 8. Add in any additional Comments, if applicable. 9. Under the Item menu add in more Diagnosis Code(s) if required by clicking on the Plus icon underneath the Code(s) section. 10. Select the Billing Method. 11. Add in a Comment, if applicable. 12. Select the checkbox next to the invoice Items to be claimed for payment. Once the invoice has been submitted, this status will change to Queued, which means the invoice has been sent for payment to ACC. 1. Open the Invoice. If you require assistance finding the invoice, see Finding an Existing Invoice. 2. 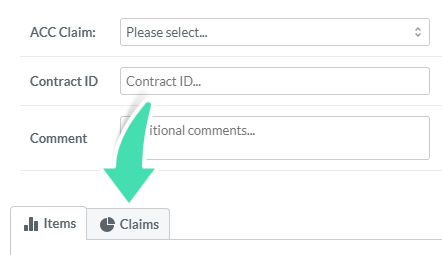 Click on the ACC Claims button at the bottom of the invoice. 3. This will open the ACC claiming window. Follow steps 6 onward from the section above to claim the items. You can track the status of these submitted invoices via the Claims tab on the invoice, or via the ACC Claiming Report.